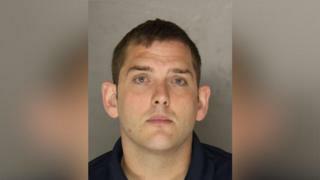 Michael Rosfeld, 30, shot 17-year-old Antwon Rose three times as he tried to flee police last June - just 90 minutes after the officer had been sworn in for duty. Mr Rosfeld's lawyer, Patrick Thomassey, told reporters his client was "a good man", and said he hoped "everybody takes a deep breath and gets on with their lives". Broadcaster WPXI says six to eight shots were fired into the lawyer's office on Friday night after the ruling. Nobody was hurt. S Lee Merrit, lawyer for Rose's family, said the victim's mother "didn't really expect a different verdict" in light of rulings in similar cases elsewhere in the US. Pittsburgh district attorney Stephen Zappala Jr said he disagreed with the court's decision. The death of Antwon Rose is one of many high-profile cases of unarmed black men dying at the hands of white US police officers - cases that have ignited protests and civil unrest across the country. 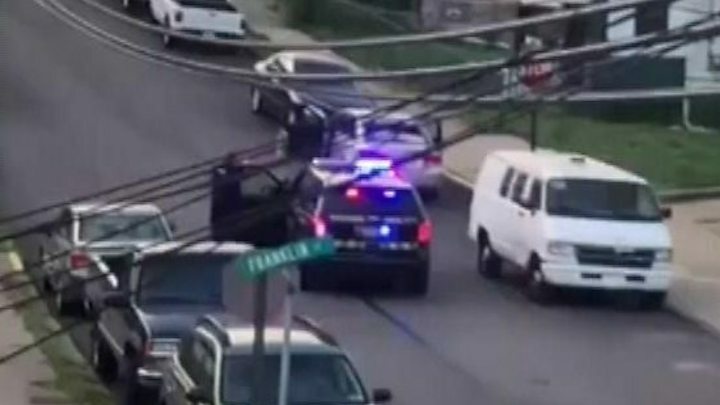 Officers stopped Rose's car because it matched the description of one sought in connection with a nearby shooting, police said. Rose was a passenger in the vehicle at the time. According to the criminal complaint, Mr Rosfeld first said he "saw something dark that he perceived as a gun," but witnesses said Rose had nothing in his hands. Mr Rosfeld later changed his story, according to the detectives' complaint, saying he did not see a gun.